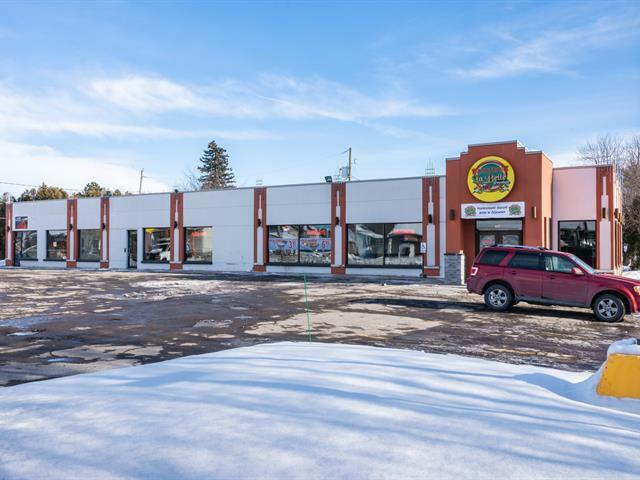 Commercial & multi residential property on 29,848 sf consisting of 12 residential units, 3 commercial plus full basement of approx 5000 sf & 35 parking spots. Residential units and commercial space fully rented. Revenue $153,480. 20% of basement rented & 80% available with potential to increase revenue. Heating paid by tenants. **LOCATION*LOCATION*LOCATION**TURN KEY PENTHOUSE**Amazing and spacious corner unit in Place des Nations Phase 1. Modern, very bright, open concept kitchen, dining room & living room. Large private balcony overlooking newly developed park and lake with spectacular sunset view. Located steps from La Grand Place, amenities & public transportation. *LOCATION*TURN KEY*Amazing & spacious unit Place des Nations Phase 1. Modern, very bright, open concept kitchen, dining room & living room.Possibility of making a 3rd bedroom (12ft x 10ft). Private balcony overlooking newly developed park and lake with spectacular view of sunset. Located steps from La Grand Place, amenities & public transportation. Excellent investment opportunity. Detached triplex with great curb appeal. Located in the heart of Chomedey with easy access to services and transportation. Features 3 condo style apartments 2 X 4 1/2, 1 X 5 1/2. Revenues $37,320. Ground floor apartment has a garage, family room (3rd bedroom), and gaz fireplace. 4 exterior parking, cabanon. Discover the elegance of traditional residence tucked away in the tranquility of the Domaine Islemère. With beautiful features: opera staircase, crown moldings, oak floors, high ceilings, spacious kitchen with wood cabinets, granite counter top. Several minutes from Ste-Dorothée train stations. Elegant and prestigious residence with amazing decor! Commercial free standing steel frame building, situated on a two way semi commercial traffic artery. Building consists of 2 tenants with a total leasable area of 5358 sqf. Restaurant occupies 3608 sqf and billiard 1750 sqf. Lot has 18,753.60 sqf and has parking for 28 cars. Addendum to follow. **LOCATION, LOCATION, LOCATION**TURN KEY**Amazing and spacious unit in Place des Nations Phase 1. Modern, very bright, open concept kitchen, dining room & living room. Private balcony overlooking newly developed park and lake with spectacular view of sunset. Located steps from La Grand Place, amenities & public transportation. Rare and highly sought after location! Superb 4 bedroom property with great curb appeal! Double lot offering 8006 sq.ft of land. Situated on a quiet crescent. Wood kitchen features a large island with lunch counter. Forced air heating, above ground pool, gaz fireplace. Very well maintained, many renovations over the years! See addenda! **LOCATION, LOCATION, LOCATION**TURN KEY**Amazing and spacious corner unit in Place des Nations Phase 1. Modern, very bright, open concept kitchen, dining room & living room. Private balcony overlooking newly developed park and lake with spectacular view. Located steps from La Grand Place, amenities & public transportation. Superb property in a sought after location! Freshly renovated with a new facade (2017). Spacious kitchen with large island that includes seating, 3 + 1 bedrooms, 2 bathrooms, and garage. Floors (2017), front door, garage door, and the majority of windows were replaced. Large intimate yard bordered with hedges. Renovated 2 storey home situated in a quaint and family friendly area, in Laval-West. Features an open concept floor plan with 3+1 bedrooms, 2 full baths and a powder room. The yard is private and bordered by hedges. An opportunity to be ceased! 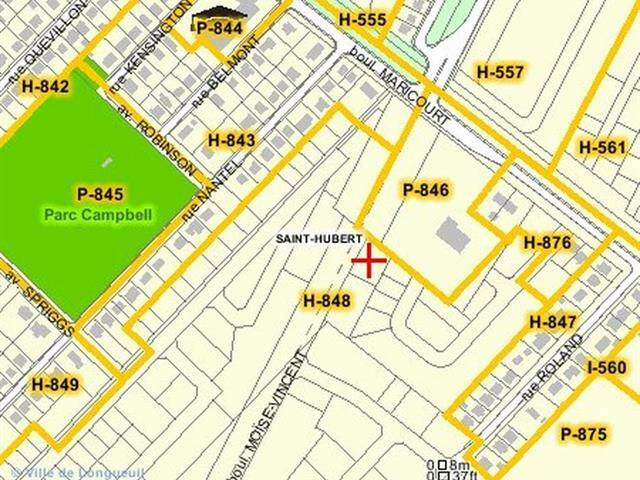 5 minutes from the St-Dorothée train station and nearby autoroutes 13 and 440. AAA location Domaine Renaud! Well maintained property located on a beautiful street with mature trees, sitting on 5400sq lot with an inground pool. Cathedral ceilings throughout main floor with a very functional layout. Finished basement with an inviting playroom, additional bathroom and office. Close to all services. See addendum for upgrades. A quiet oasis in the heart of the city! Living room features a bay window that brings in great natural lighting. The kitchen features wood cabinets and granite counter leading to a solarium separated by 2 French doors offering a lovely view of the back yard. Property has great potential for the buyer looking for excellent value! Unbeatable price !!! Detached open concept home featuring: spacious kitchen, 2 + 1 bedrooms, 2 bathrooms, large basement with family room, bedroom and bathroom. Intimate back yard, without back neighbors. Large patio in treated wood and gazebo, cabanon! Spacious condo situated on upper level in a top location. 1234 sq.f. of living space in a very functional layout. Open air concept. 3 bedrooms, modern kitchen. The living room features a gas fireplace with mantel. Closets include a closet organizer. Large fiberglass balcony overlooking green space. 1 parking space, 1 cabanon. Close to all services. Water view.Water view! Property is held in divided co-ownership with Havre des Prairies. Spacious condo 1240 pc, garden level, with 3 bedrooms on the same level, 2 parking spaces, private entrance. Close to the water's edge. Large rooms, exotic wood flooring, dream terrace with SPA. Near the Lachapelle Bridge and access to all services. Cottage style townhouse situated in a top quiet residential location . Open air concept with great natural lighting. Master bedroom features walk in closet and balcony. Tastefully decorated finished basement, including a spacious storage space. Roof 2015. Property well maintained over the years. Close to metro. A must see! Lovely 5 1/2, open concept corner unit with spacious living room dining room area, gas fireplace, 2 nice size bedrooms, functional laundry room with lots of storage, 2 exterior parking spaces as well as 1 interior storage unit. Access to the Place Royale (gym, lounge, pool, tennis, etc. )A must visit! Absolute comfort! Bright and airy 2 bedroom condo situated in the Boisé Papineau right in the heart of Duvernay. Features 2 bedrooms, spacious living area with gaz fireplace, open concept dining area. Located in the north-east end of the complex with a tranquil view on the gardens. Minutes away from Centre de la Nature and easy access to Montreal. Turn key furnished condo. Opportunity to become a property owner. Ideal pied à terre. Renovations 2014: kitchen, bathroom, floating floors. Great natural lighting. Outdoor swimming pool, exterior parking #70. Situated close to all services, stores, public transport. A must see!